Createspace Independent Publishing Platform, 9781986036061, 178pp. ..". outstanding... one of the funniest and cleverest novels of its type to hit the English-language market in years." 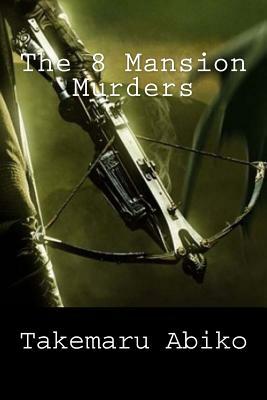 Publishers Weekly The 8 Mansion, so called because its owner Kikuo Hachisuka, constructed it in the shape of a figure 8, is the scene of two gruesome crossbow murders. First Kikuo's son, and then another resident who witnessed the first murder, are slaughtered in seemingly impossible circumstances. The crimes are investigated by Inspector Kyozo and his accident-prone assistant Kinoshita, but they are actually solved by his brother Shinji, who delivers a "quasi-locked-room lecture" reminiscent of John Dickson Carr's Dr. Fell. Takemaru Akibe was, with Yukito Ayatsuji and Rintaro Norizuki, one of the founders of the shin honkaku movement. The 8 Mansion Murders, published in 1989 was the third in the series of path-breaking books which launched the renaissance of Golden Age style detective fiction in Japan. Locked Room International translates and publishes the works of international impossible crime authors past and present. For information about signed and lettered editions of all living authors please contact pugmire1@yahoo.com or go to www.mylri.com.